Book Your Next Dental Cleaning Today! Even if you brush and floss every morning and night, regular teeth cleanings are essential to maintaining both dental and overall health. Over time, plaque accumulates on teeth and gums. While daily brushing can remove large amounts of plaque, hard deposits known as tartar can build up between teeth and in hard-to-reach areas. A dental cleaning can remove these deposits to prevent enamel from decaying and cavities from forming between teeth. A cleaning can also benefit your overall health by keeping your gums healthy. When your gums become infected or inflamed, they allow bacteria to quickly enter the bloodstream and access your heart and the rest of your body, which can lead to more serious health problems. To maintain proper dental health and to protect yourself against more severe health problems that can stem from infected gums, you should schedule a dental cleaning twice a year at AmeriDENTAL in Upper Darby. When you visit our practice for your teeth cleaning, we’ll conduct a comprehensive oral examination to determine the state of health of your teeth and gums. Our dental assistants will assess each tooth individually, looking for chips, cracks, cavities, and other signs of distress. Using an ultrasonic scaler, a vibrating tool that safely cleans the surfaces of teeth, and metal hand instruments known as curettes, we’ll carefully and painlessly remove the plaque and tartar that have built up since your previous visit. Once all plaque and tartar have been thoroughly removed, we’ll polish your teeth using a low-speed rotating brush and a polishing gel. This step takes no more than a few minutes and will leave your teeth feeling fresh, smooth, and clean. 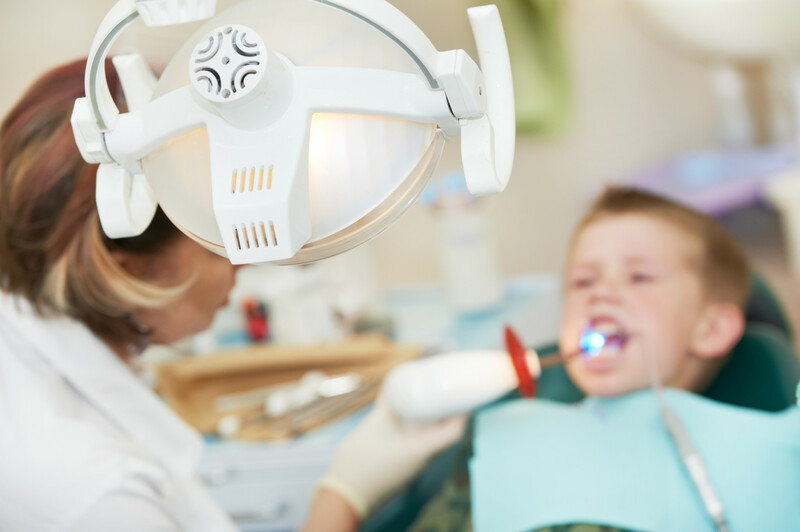 Dental cleanings from AmeriDENTAL in Upper Darby are fast and, in most cases, entirely painless. If you have an exposed nerve from a deep cavity or sensitive gums, we can use a topical numbing gel that will temporarily help to relieve the discomfort. It is not uncommon for our patients from Springfield and Ardmore who do not brush or floss often to experience slight bleeding of the gums during a cleaning. If this happens to you, our dentists will proceed with caution to make the procedure as painless as possible. However, they may recommend more frequent brushing and flossing in the future. At AmeriDENTAL in Upper Darby, we treat patients from Springfield, Ardmore, and the surrounding towns with comprehensive dental care from teeth whitening to cosmetic dentistry. We handle regular teeth cleanings as well as emergency care for those in need of a 24 hr dentist. Remember, a regular dental cleaning is about more than removing plaque and polishing your teeth. A visit for a cleaning can help your dental team spot problems before they cause you pain and save you money on more significant dental treatments. Don’t push off a visit to the dentist any longer. If you have not gotten your teeth cleaned professionally in the last six months, give us a call today at 484-971-6351 to schedule your next dental cleaning.